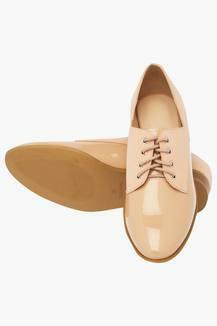 Set new fashion standards by wearing this pair of lace up shoes from the coveted brand, Van Heusen. It has a soft inner lining to keep your feet at ease all through the day. 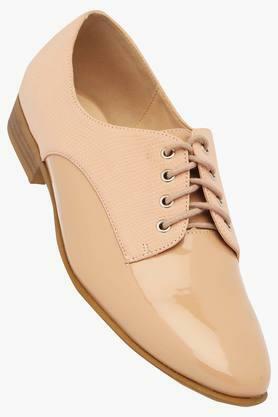 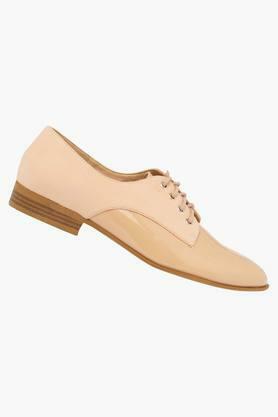 Besides, the upper part is crafted from patent leather, thus lending it a smooth finish with a natural sheen. A perfect pick for any casual occasion, this pair of lace up shoes will look good with a pair of trousers and a shirt. 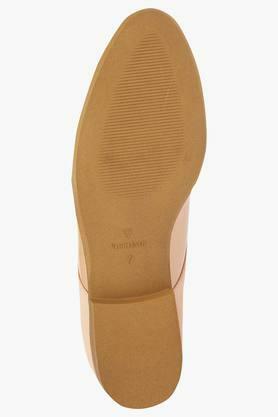 It has ethylene vinyl acetate sole that ensures a better grip.